Biofeedback Posture Trainer BUY Posture Brace, Posture Support, Posture Trainer, Posture Support Brace, Posture Support Trainer, 83971, Biofeedback Posture Therapy. Biofeedback Posture Trainer helps to train individuals to develop and maintain a proper posture. The Biofeedback Posture Trainer is a therapy device for posture that provides a beeping or vibration when it detects slouching. This lightweight Posture Trainer is worn like a backpack over clothing. When the Posture Brace senses incorrect spinal alignment it signals the user so that corrective posture can be taken. This Posture support device teaches correct spinal alignment and helps to prevent back pain. The Posture Brace promotes good breathing and joint health. 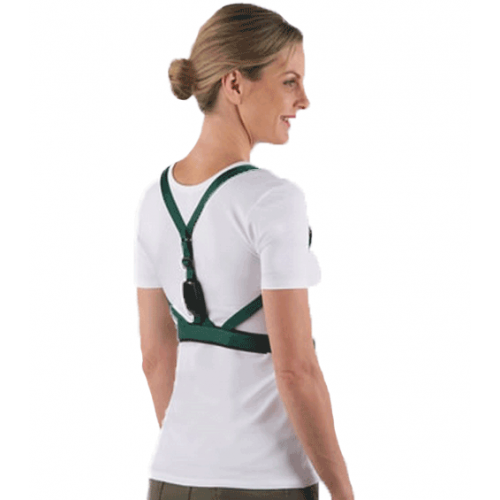 Biofeedback Posture Trainer has adjustable straps and belt that are connected to a central strap that holds the biofeedback monitor over the spine. The biofeedback monitor has a selection for an audible beep of vibration when the monitor senses slouching. The alarm is silenced by resuming a good posture. Designed by an occupational therapist, the Biofeedback Posture Trainer is recommended for three 20-minute sessions each day for at least three weeks. Users of this Posture Support Trainer develop muscle memory required to employ good posture. The Biofeedback Posture Trainer is a unisex Posture Trainer. Posture Trainer with Biofeedback Monitor. Detects slouching and provides alert to user. Develops muscle memory to maintain good posture. Biofeedback Posture Trainer Product Numbers: 83971. Size Options: Small, Medium or Large. Small: 20 to 34 Inches. Medium: 36 to 40 Inches. Large: 41 to 52 Inches. Not for use by individuals with pacemakers. Highly adaptable to my body. 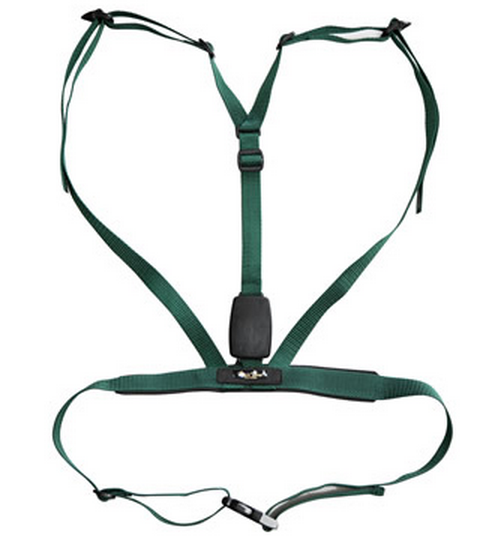 The Biofeedback Posture Trainer straps adjust for a perfect fit.